At Binan High School, as per usual, the “Earth Defense Club (lol)” was a club that did nothing. 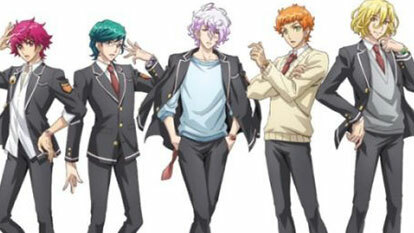 The club members Kyoutarou Shuzenji, Ryouma Kirishima, Nanao Wakura, Taishi Manza, and Ichiro Dogou nonchalantly enjoyed tea while having pointless conversations that amount to nothing. All of them have now gathered at Kurotama Bath after school. When Ryouma pulls Kyoutarou Shuzenji by his arm out of water that he claims feels too good, together with his towel comes a pretty boy in strange clothing. Cute High Earth Defense Club LOVE! LOVE!